Summer has found our writers at DailyMom traveling to various parts of the globe. 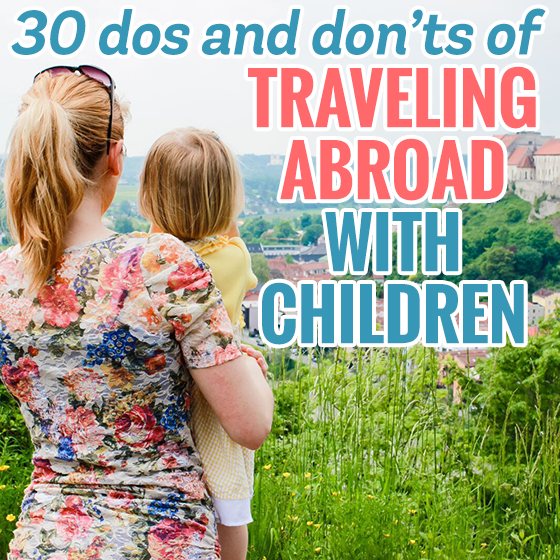 Though air travel in general is not foreign to us, traveling overseas with children was a new experience and we wanted to share what we learned. 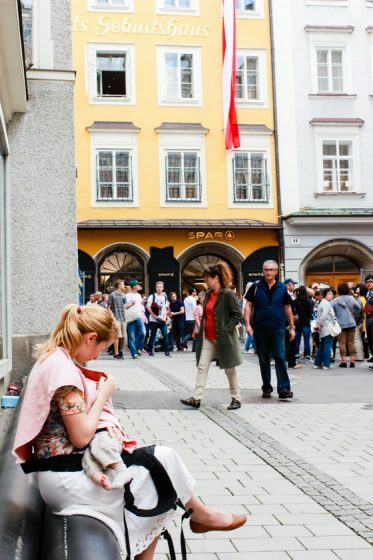 So, if you are considering traveling abroad, or have already bought tickets, we hope this list is able to help you–with everything from deciding what to pack, to what to expect, regardless of your destination. 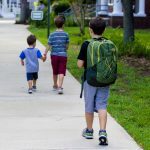 Traveling abroad with children takes on a whole new character compared to your previous days of packing a small, light bag and heading out the door. It can be stressful to think about what to pack for little ones, and trying to predict what you will need. Furthermore, you may wonder how it’s best to plan your day-to-day adventures in a way that will benefit the entire family. DO bring new, interesting activities on the plane. 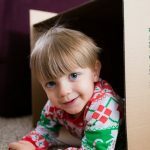 Finding unusual and new gifts and gift wrapping them will engage your child, while also distracting them from the time they are spending sitting. DON’T bring a heavy stroller–the lighter the better (see this lightweight stroller by Summer Infant). Baby wearing (we used this carrier by Boba) is an even bigger plus, unless you also want something to tote around your bags. DO pack outfits that are easy to wash and dry in the sink in a pinch. Consider synthetic blend materials that are both wrinkle resistant and that are able to air-dry in your hotel either overnight or throughout the day, while you are out and about. DON’T bring heavy or puffy coats or jackets unless you can carry them in your suitcase, especially if you travel in the spring or summer. You may be pining for extra space by the end of the trip, and those coats and jackets take up so much room. An alternative is a light windbreaker that can collapse well and fold up really small. Other than that just bring outfits you can layer, if needed. DO plan on jet lag taking a good 3-4 days to begin to subside for everyone. DON’T hesitate to turn down rich foods for yourself and your child while jet lagged because it can have a negative effect on the stomach. Stick to more subtle and easy to digest foods the first day or two while you rest and you acclimate to your new environment. 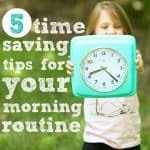 DO plan on being up at strange hours and don’t fret if you have to take an extra family nap during the day. You will get acclimated, it just takes time. DON’T be afraid to take a day out here and there to rest. Touring, meeting new people, trying new foods, exploring new places and not having “home” nearby can make children tired much faster. Imagine how affected you are when you don’t speak the language in a country–it takes a few days of getting used to for children. 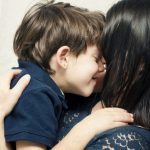 Children may or may not understand why they can’t understand those around them and it can be very tiring. 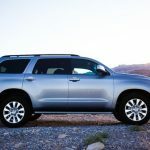 DO look into renting or borrowing a car if possible as opposed to being part of a tour. 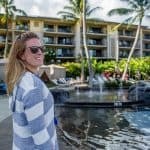 Traveling on your own gives you infinitely more flexibility with your days and you can plan your days in a way that takes the entire family into consideration. The only problem with taking your own vehicle is parking. In big cities (Rome, Milan, Budapest…etc) overnight parking or even day parking can be very difficult to find, so be sure to look into that before you travel! DON’T forget to look into carseats! From what we saw, many car seats available are only 3-point harness, so you may wish to have an alternative or bring your own car seats. DO expect (depending upon the country you visit) for meals to take up to 3-4 hours with several courses. Bring little things for your children to do to keep them occupied while they wait or don’t be afraid to excuse yourself for a while and take your child outside. 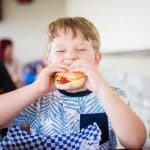 For those of us who are not used to a meal that is as slow-paced as this, it can be quite an endeavor to keep your child occupied. Always have a paper and a pen with you for drawing or playing a game–they will continutally be lifesavers. DON’T force your child to try the ethnic foods you may be eating, but always offer it. Some foods you will be offered may be much different than those you serve to your children at home. If your child is reluctant, try to explain to your host that your child is used to much different foods and they need time to adapt. Yet, you may be surprised at the dishes your children are willing to try! DO bring snacks wherever you go. Often your host may have a very different meal schedule than your own and a few snacks will help immensely. DON’T hesitate if you have an alternative diet. From what we have seen, most restaurants and grocery stores are very accommodating to vegan, gluten-free, and vegetarian diets and are also conscientious of allergies. DO take time at each site you wish to visit to let your children run and explore as much as possible. DON’T concentrate on the quantity of the things you see but the quality of the experience. 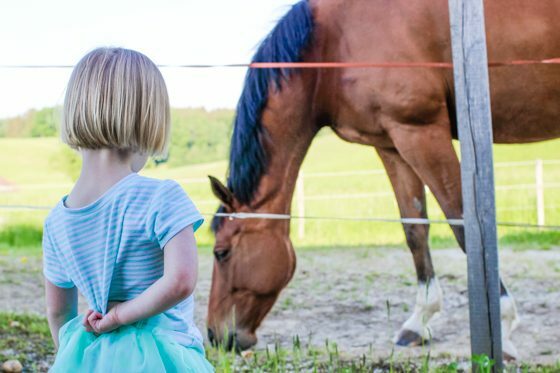 DO take the time to plan to visit an average of three sites per day, one being an area where your children will be able to play, rest, or make noise, for a good amount of time. 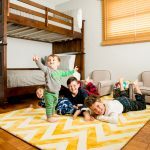 We found that this gives the day a lot of wiggle room, structure, and allows time for naps, meals, potty breaks, snacks, and time for children to run and play. 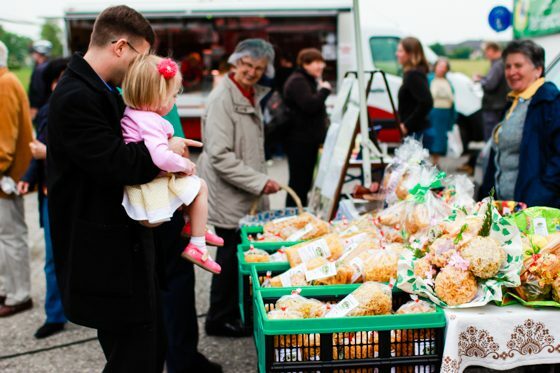 DON’T forget that some of the most beautiful ways to see and be enveloped by a culture is to visit local markets, cafes, and town squares where people congregate in their daily routine. With children along, a day of simple pleasures is a must. DO explain to your child where you are and what you are doing, especially when you are leaving and how long of a trip it will be. DON’T forget to have a backup plan in case one of your three daily destinations is not working out due to some unforeseen circumstances. 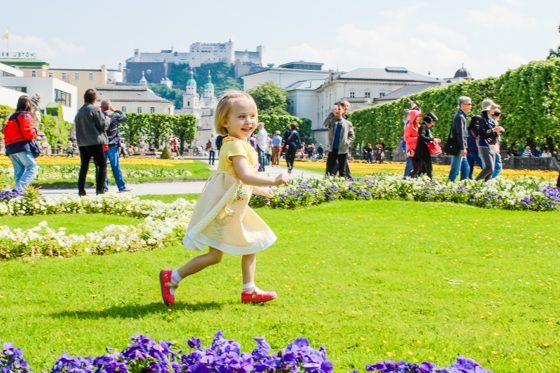 DO pick at least one point of interest per day with areas where children can run and be children such as a park, garden, or other outdoor area. DON’T expect this trip overseas to be like any other trip to Europe. 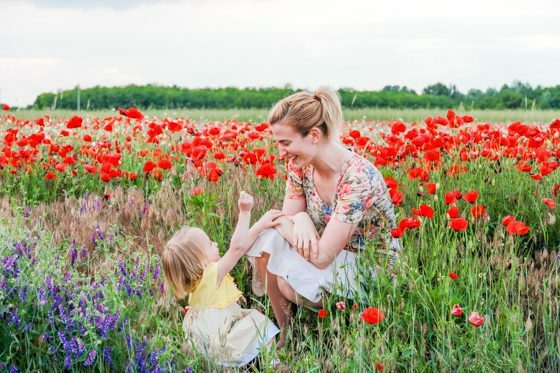 Remember that an amazing benefit to traveling with children–even though you may not be able to do as much– is to introduce them to other cultures, ways of life, and to give them a new view of the world. You really put the world at their feet. If you haven’t yet, be sure to check out our post on Raising Bilingual Children. DO prepare for your children to adapt faster than you thought. Our children traveled better on the long flights than we expected, and the long drives were made so much easier with a few stops and lots of lightweight activity books, sticker books, educational games on a phone and other devices (we love the app Endless Alphabet) and imaginative games you may make up along the way. DON’T forget to have both drinking and hand-rinsing water on hand at all times, along with a dampened wash cloth. This helps wipe up messes or just refresh you after a long day of traveling or sightseeing. DO have a simple, daily checklist before going out the door each day. 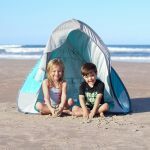 Traveling gets you out of your normal routine, and while you may believe it could never happen to you, finding yourself without any or enough diapers for your children is excitement you don’t want to have! DON’T get caught without local currency to cover at least one full day of normal expenses in cash, along with some contingency money. Consider having each adult carry a different credit card, so that if one person loses a wallet, only that card needs to be cancelled, and not both cards. If your credit cards become locked for a fraud alert, you might be able to rough it for awhile, but it would be much more difficult on small children. Also, remember that public bathrooms may require specific types of coins to open stall doors, so be ready to have an ample supply of the right type of change. DO ensure that if you experience airline delays and are re-booked for a different flight, to coordinate as early as possible to have your seats together–international flights are often fully booked. We discovered at least some airline customer service desks have limited authority to change seats and that this authority is delegated to the gate agents. That means you should get in line early at the gate even if there’s no agent there yet. If all else fails, board the plane early and work with a flight attendant. 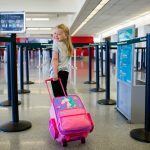 Thankfully many countries also customarily allow families with small children priority at both ticketing or check-in lines, as well as at gate desks. Get in line, but it never hurts to ask if you can get expedited–we were pleasantly surprised several times. DON’T be alarmed if your menstrual cycle is delayed; this is very normal for overseas travel. 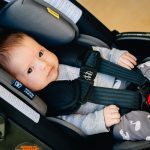 DO prepare for sudden and unprompted carsickness by a child, especially during the more stressful or fatigued instances, like the first days abroad. Have an easily washable blanket and an extra outfit at hand with plenty of wipes or even just a wet towel. Navigating narrower, more-winding roads, as well as a more “active” driving style as compared to stateside is something your children may not be used to. No matter where you are headed, traveling abroad with children adds a whole new perspective to the adventure. We wish we would have had a guide of suggestions before our trip, but hope the experiences we had can give you ideas for your own vacation. Though there are many more things to think about when traveling with children, it also makes your travels all the more worthwhile. You get to see your children expand their mind and multiply their experiences in a truly unique way. Safe travels! 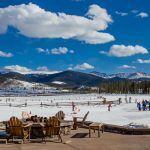 Be sure to check out more travel posts in our Wander section!